Navigation to the schema link Under the Site Settings-> Site section click to the schema link. Verify that DisplayAuthor having all the required properties selected, the most important it must be Muti value. Next step would be crating the custom template. For that I need to map the drive and create the copy of one of search template. For this example I have selected item_word template. Navigate to the settings menu from the page -> Design Manger. Clicked to “Upload Design Files” and click to the design manage files link. The design manager file I have copied the item_world.html and rename the copied file to SharePointForDeveloper_Item_Word.html. 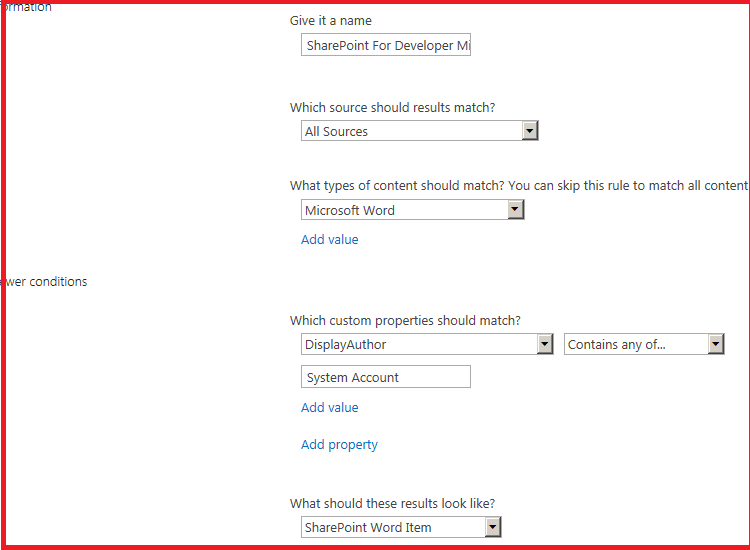 Edit the file and put the _#=ctx.CurrentItem.DisplayAuthor=#_ above the _#=ctx.RenderBody(ctx)=#_ and give the tile to this template SharePoint Item word. It would be easy to identify while selected the template in the drop down. Save the template next step to create the result types. 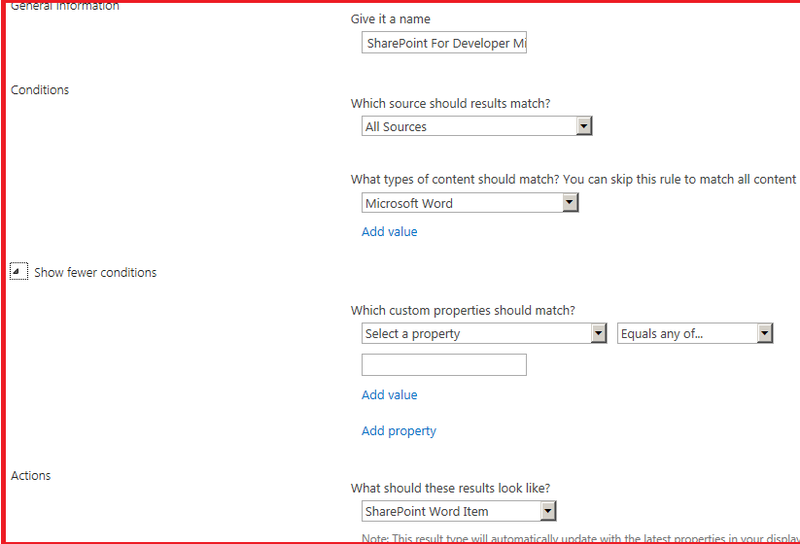 To navigate to the Site Settings->Site Collection Administration section-> Click to the Result type. Create the new result type as mentioned below screen shot. 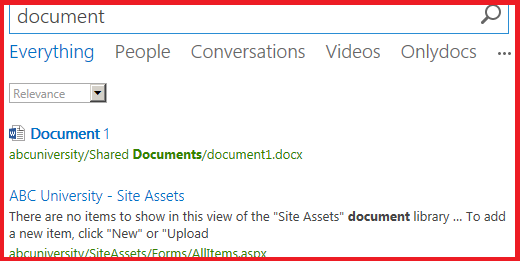 Navigate to search center and click to everything vertical and search for “document”. Got the result with applied with new template as created in the above steps and able to get the DispalyAuthor value in the template. Now test with the multi value Managed property, for that I need to modify the result type template so same I did. As this is the multi value so the document contains with semi colon and so need to use contains keyword from the drop down. Please see the below screenshot to modified result type. After applying the template, did the same navigate to the search center and use the same keyword “document” to search the results. The metadata is missing because the template not applied another issue. I come to know this is related to the multi value MP causing an issue. Related to this issue I have also post the same issue on the MSDN question. PS: I have checked each option from the Query drop down like "Equals any of" and "Contains any of" not working in case of multi value attribute.